When is a belt buckle more than just a device to hold your pants up? When it can double as a stainless steel flask, that's when! You might have seen every belt buckle from Texas to Wyoming, but you've seen nothing like our belt buckled flasks. 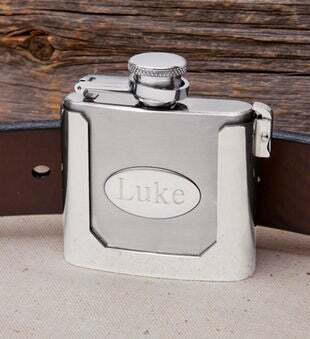 Each personalized stainless steel flask not only can keep your pants up, but it can keep your smile on too. Could your grandfather's buckle do that? We didn't think so.